In a marriage, both persons vow to stay with each other for the long haul, for better and for worse. However, when those worse times come, the couple may need neutral interventions from a professional therapist to resolve their problems. During many of these counseling sessions, the husband and the wife may have heated disagreements and exposed unexpected revelations that may heal or strain their marriage. Yet, the whole point of counseling is to help, not harm, the marriage. Nevertheless, many husbands have similar grumbles involving their relationships with their wives. 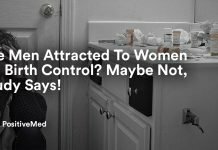 According to expert counselors’ experiences with several couples and researched facts, we will explore the six main complaints men have shared with therapists about their wives. According to past studies of marital distress, the two most common causes of spousal problems are poor communication and unrealistic expectations. Most men have complained their wives anticipate them to already know what she wants and need as well as what she expects from him. 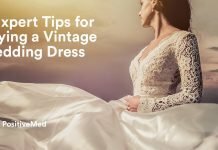 This can be stressful and overwhelming to the husbands, especially when they are trying to appease their wives and instead realizing they have fallen short. To resolve this problem, both spouses should be clear and specific in expressing what they want and expect from each other and be willing to meet or compromise with each other’s needs. They should talk about it to each other in person. Research has shown married couples are allotted only four minutes per day alone with each other due to daily demands and obligations. So, sleep time is a precious commodity for most married couples. However, most men have noted their wives like to bring up issues during the night when they are trying to go to sleep. This bad timing to talk only adds more preventable stresses to the situation. 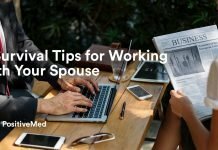 To resolve this problem, before going to bed, married couples should schedule some time together alone to discuss whatever that’s bothering them and to give each other their undivided attention. Do what they must do to not go to bed angry. According to past studies on marriage and divorce, one of the two reasons men are more prone to cheat is when they feel unappreciated by their wives. Although men are known not to be as emotional like women, they still have feelings. Men like to feel valued by their wives. A simple remedy to this problem is to cultivate a close friendship in the marriage. Research studies have shown people who have a close relationship with their spouses have happier marriages. To enhance their relationships and increase marital bliss, married couples should share good news and celebrating them with each other. Be each other’s best friend. Studies have shown married couples with children stay together longer than childless married couples, for children strengthen marriages. Yet, when it comes to raising children, several men have cited their wives are not on the same page with them. This lack of unity between the spouses will not only cause more problems in their marriage but also hinder their parenting goals and progress when disciplining their children. To overcome this, both spouses should discuss and negotiate privately how they want to raise and chastise their children; in addition, they should express them jointly to their children and back each other when disciplining their children. Share everything with each other. A recent study has found, on average, a married couple will have $ex 68.5 times a year, slightly more than once a week. Yet, according to most men, a lack of physical !ntimacy in a marriage can lead them to cheat or end their marriage. A research-based fact is having no $ex is more detrimental to a marriage than having bad or good $ex. However, both husbands and wives have to do their parts in knowing each other’s !ntimate needs and desires and work on fulfilling them. For example, based on a recent poll, more than 60% of adults surveyed stated sharing chores have increased $exual activity and happiness in their marriage. Understanding each other and working together to make each other happy will help a marriage last longer. Two recent research surveys state 72% of married women have thought about leaving their husband at least once. 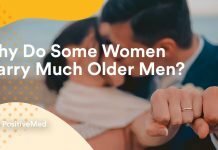 So, it is not surprising many men feel like their wives want to end their marriages. 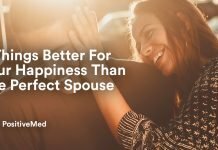 To save their marriage, both spouses must improve how they communicate with each other, show more respect for each other, think more positively of each other, and nurture each other’s needs. While crises in a marriage should always be expected, working together as a team in a loving and respectful way is always beneficial to a marriage. Being married takes work, patience, and cooperation from both partners. In sustaining a longer-lasting and happy marriage, sincere teamwork is vital. When two people decided to marry each other, each spouse should do his or her part to keep the marriage going and reflect on how far they have come together as well as what areas in their marriage they both can improve. According to several studies, love is the number one reason people get married in the United States. Therefore, if that is the case, love requires action; and, in a marriage, love involves being a team. Next articleHow Much Weight Should You Lose In One Week?